We recently moved into a house with hardwood floors and no carpet. So for the first time, I was in the market for a few rugs! When I opened this one in the mail, I was pretty shocked! 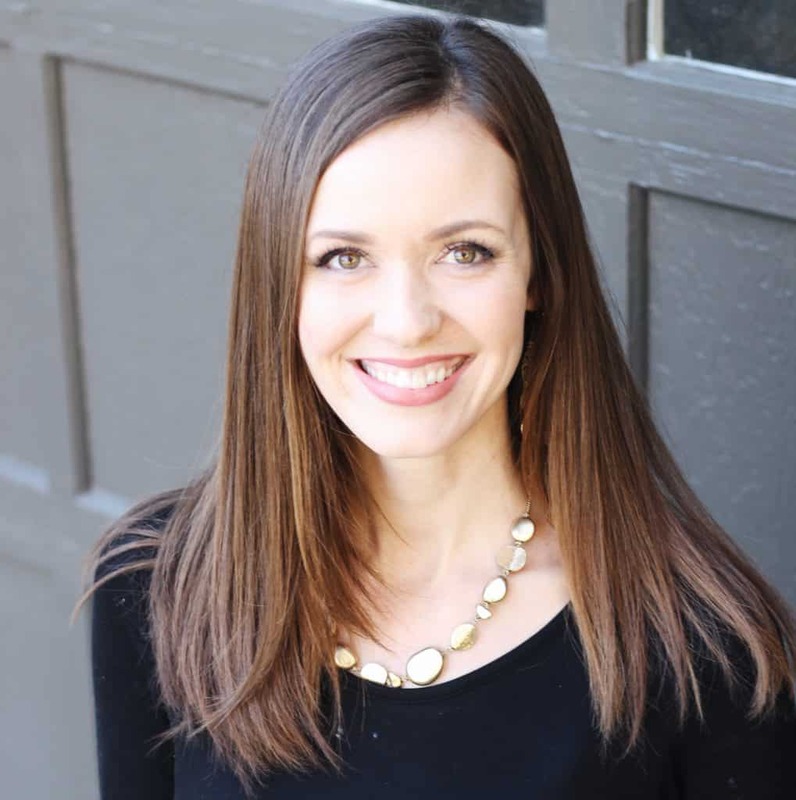 I saw why Lorena Canals Rugs are perfect for busy moms. It was machine washable (say what?! ), instant room decor, and so so soft. In fact, my 2.5-year-old just shucked her dress and started making snow angels. She’s a little obsessed with soft things and this one apparently passed. This rug was provided to me for free, but all opinions are mine. This post contains affiliate links. Every rug they sell! When I’m busy the last thing I make time to do is to rent a rug steam cleaner or take my rug outside to clean with a brush. I don’t want to tell you how nasty our old carpets were after 3 kiddos! Which is why all apartment rentals come with beige carpet, lol. With Lorena Canals Rugs I can put this in high traffic, have goldfish crushed into it, baby spit up everywhere, and get it clean again. Anyways, I’m thrilled this will be easy to wash and fit in a standard washer/dryer. We have rotated this rug through a few rooms and I like it in all of them! I am no interior designer, and it’s actually really hard for me to visualize home decor ideas. I think this rug adds just enough style that I don’t need much else which saves me time looking for other ways to style a room. I’m more or less using it as THE decor. The hardest part was picking one on their site because of the variety. There are rugs that are more “nursery” looking and ones that could go in any room like this one. These are thick, heavy, and really really soft! I will have a crawler here soon so having a soft area rug for his knees is going to be nice. Plus, Laila tries to be one with the carpet because she loves how it feels, and she is too cute so bonus points for that. 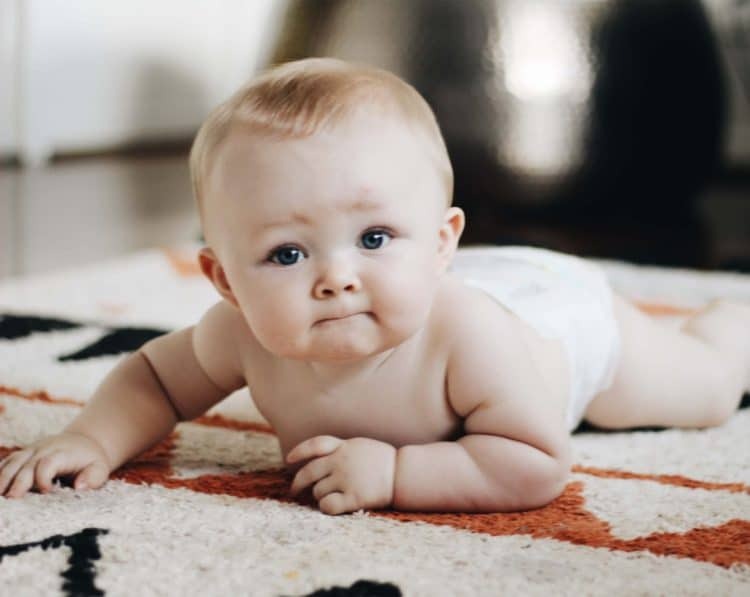 I think moms with little kids just appreciate soft rugs. I know I do! This rug is made in India and designed in Spain. 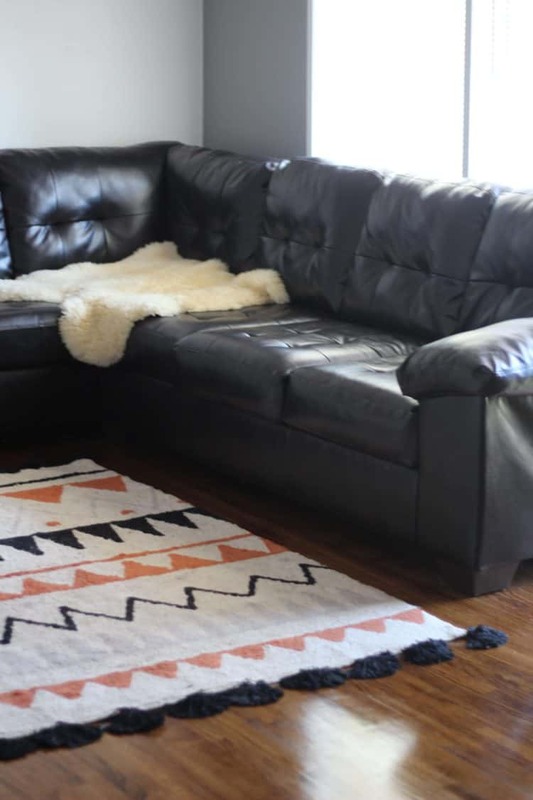 It’s handmade with non-toxic all natural dyes and contains no VOCs like most rugs. Proceeds also support the Sakula project and provide schooling for children in India. Plus, if Vogue votes this as a top baby product then you know it’s at least eye-catching! My rug is called the Azteca Natural Terracota 4’8” x 6’7”. You can order it from the company or on Amazon. There is a smaller matching one as well which would be a fun way to tie two spaces together. It’s made from 100% cotton. When I first got it there was a tiny bit of fluff on it that easily vacuumed up but we haven’t had much fluff since. 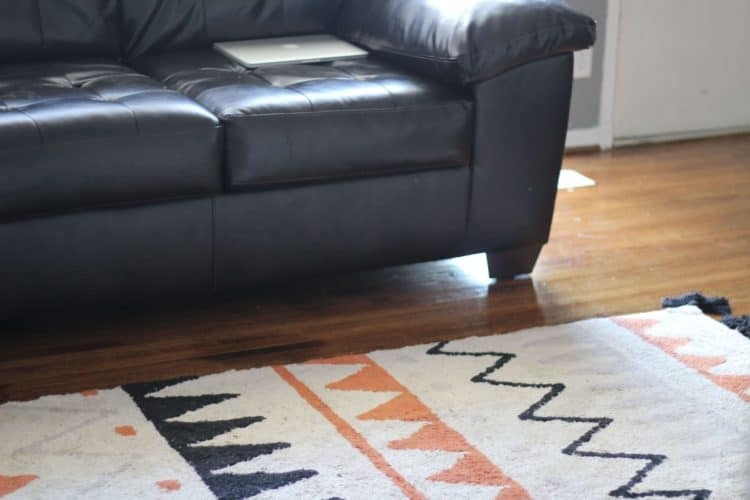 With lots of foot traffic, the rug looks less fluffy but comes back to life with a vacuum and more so with a wash. It’s also so thick that there is no seeing the bottom like some rugs! I think the orange adds the perfect bit of color to our now neutral walls. Plus, the beige coloring is a tad more forgiving than white when it comes to foot traffic! We really like this rug, and although this is not a budget rug for the size, it is quality for sure. I did not put a rug pad underneath so this rug slips around a lot on the hardwood floor. I would recommend getting a rug pad to stop that. 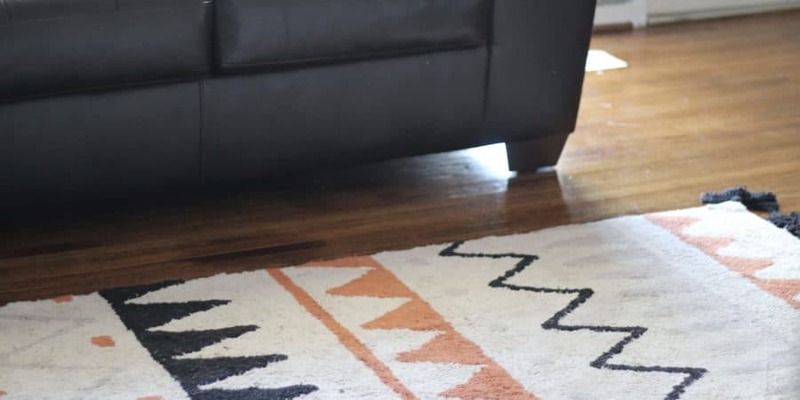 Especially if you have little kids running around the house this rug could easily become a flying carpet without a rug pad to hold it in place. Easy fix though. It can get a bit of a walked on look every day or two. Good thing is it fluffs back up when I vacuum. But just keep that in mind! We have a couple of other rugs. Both our shag and wool rugs don’t need to be vacuumed as often for the fluffed up look.